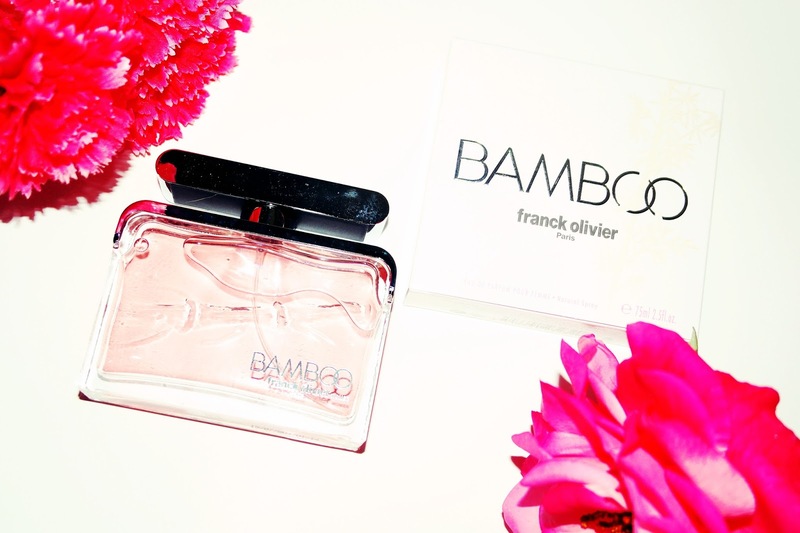 I'm spending my day sniffing perfume and taking pretty photos of this even prettier bottle. 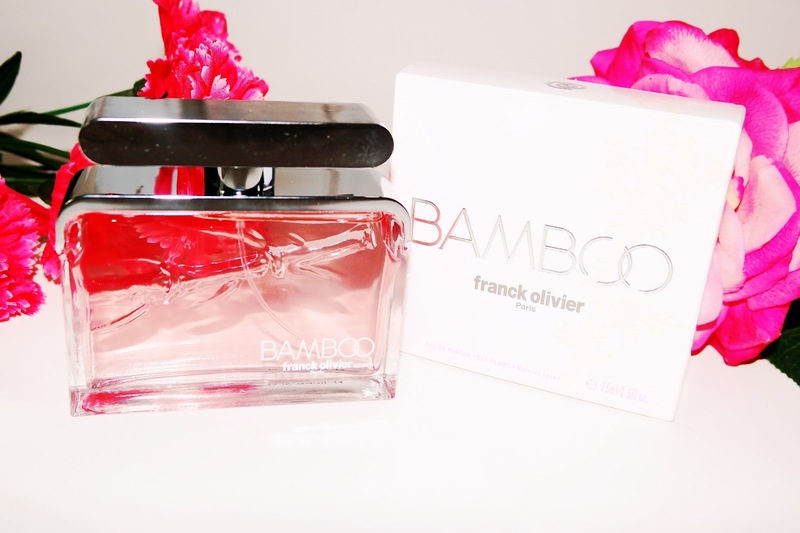 I got the chance to try this beautiful perfume below called Bamboo by Franck Olivier from the wonderful store The Fragrance Outlet. And what a store it is...there are lots of pretty perfumes I want to get from them...there's this Barbie one I have my eye on and a Cinderella one too! heehee..I'm a sucker for whimsy and girlish pretties. How pretty is the bottle? perfume is light pink!! So pretty...totally vanity worthy. It smells sooo light, fresh and green. Definitely a scent that I think most peeps would love. last a long time so it's such a great value in my opinion. I really love it and apparently so do my cats! They were sniffing me like crazy and the bottle too. lol..
Base notes: Musk, cedar and vetiver. 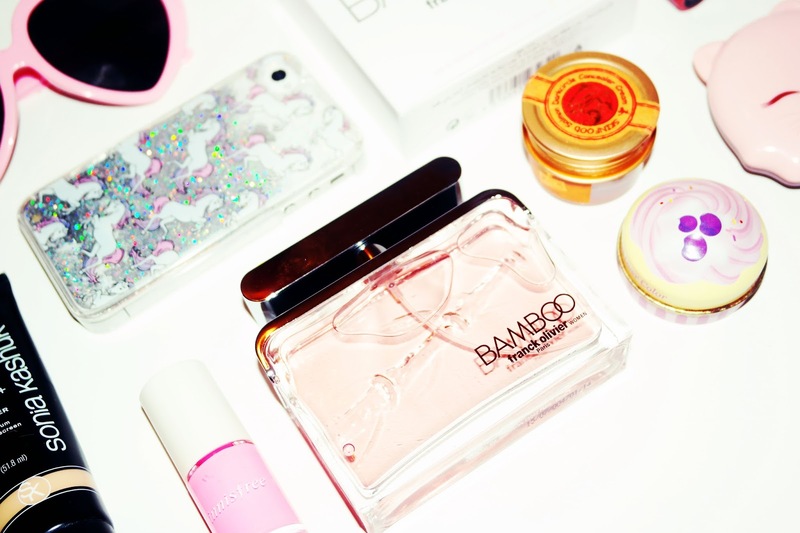 I couldn't resist taking some snaps with some of my current fav products and my new phone case...it's sooo magical! Holographic glitter and unicorns? Yes, please! I got mine on ebay because I couldn't find one for compatible for my phone but you can get it from SkinnyDip London here. I LOOOOOVE that store. I want everything there. 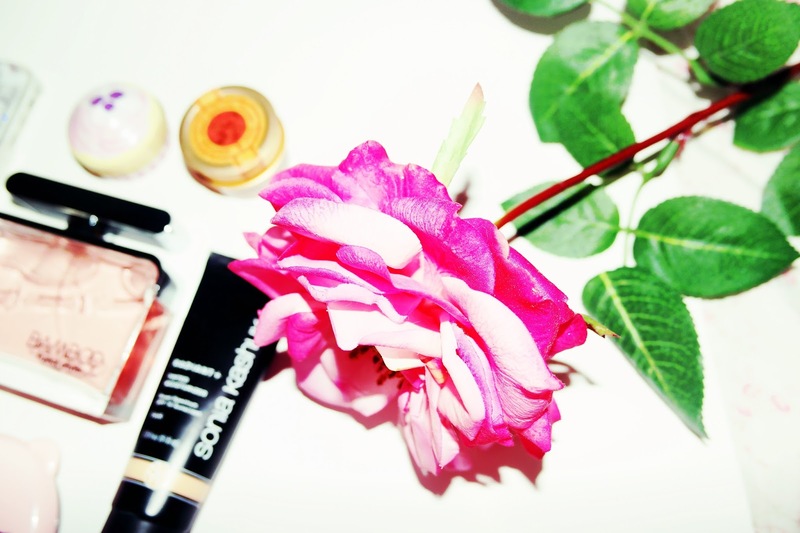 That gold jar is my new eye concealer from Skin Food in Korea called Salmon Dark Eye Concealer in Blooming #1. 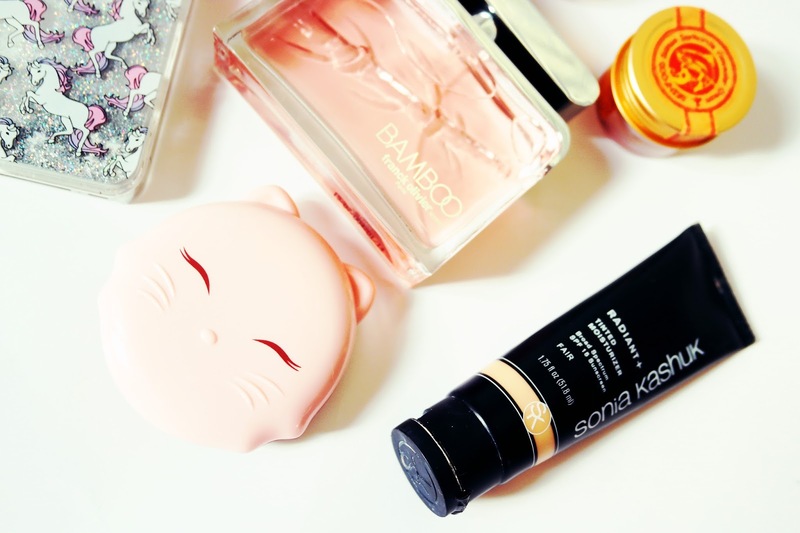 Yes, I know...I'm addicted to Korean Cosmetics and I LOVE it! Super moisturizing and creamy. It really brightens my eyes up. Oooooh...and that Innisfree Pink Nail polish...the PERFECT shade of pastel pink. I need to get another bottle ASAP. Below that is my Cat Winks Pressed Powder Compact (It's empty.... (whispers)....ha!!) 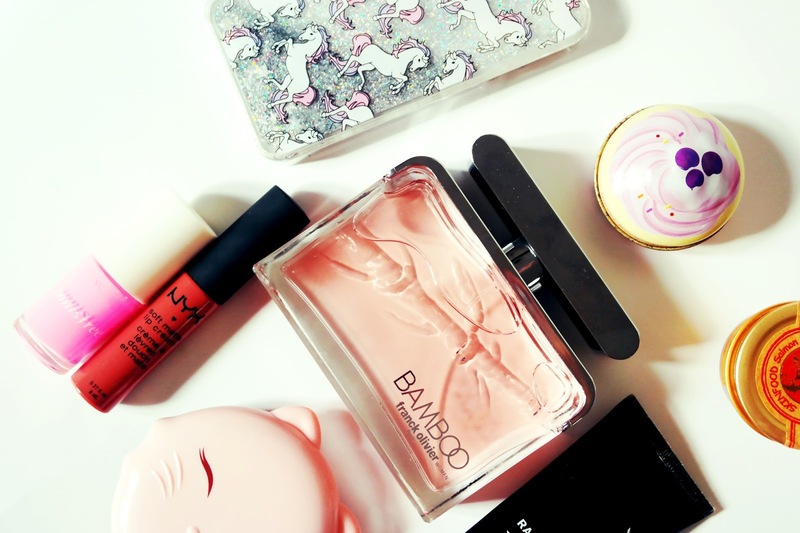 but that won't stop me from taking photos of this cute compact. Meow!! I need to get more. 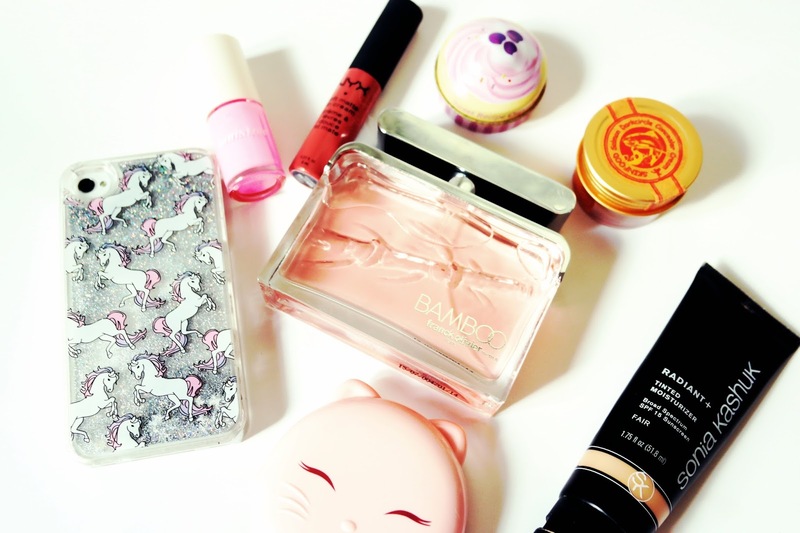 And next to that is my go to face makeup. I don't like heavy makeup so I just use a tinted moisturizer and I've been using Radiant Sonia Kashuk in Fair for quite awhile now. Pretty addicted to it. And below a new love...my NYC Matte Lip Creme in Cannes. I absolutely love this shade...like a rose chocolate...never thought anything other than pink and now red would look good on me...but this is super...super pretty! You peeps need to try this perfume or at least take a looksie at The Fragrance Outlet. They've got SO many perfumes to check out. What do you think of this perfume? Have you tried it before or gone shopping at The Fragrance Outlet? Let me know if you did and what goodies you got! Love to you! !